$107.99 each List: $182.00, You Save: $74.01! 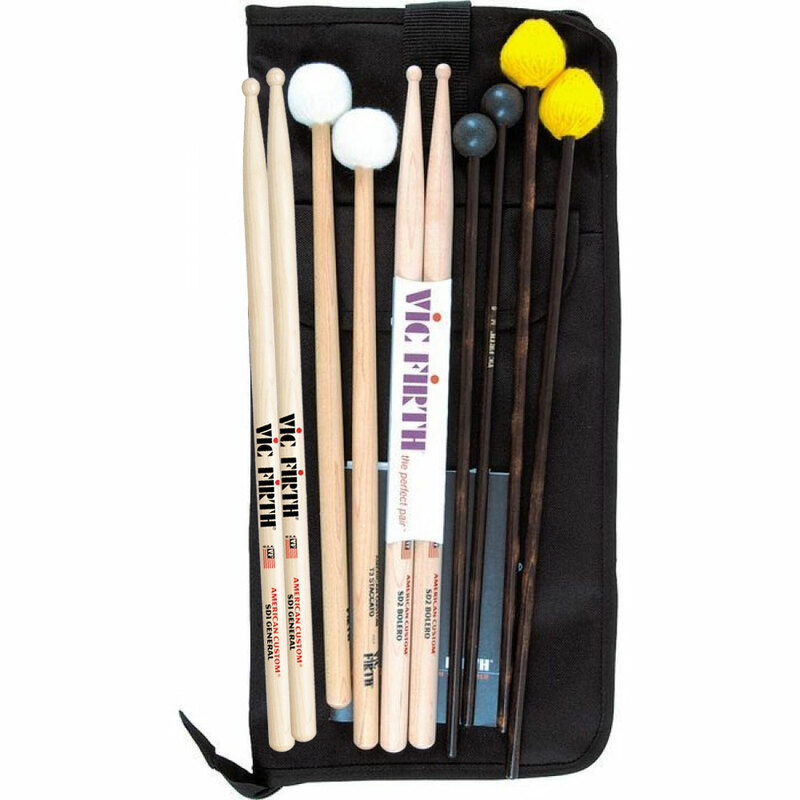 The Vic Firth Intermediate Education Stick & Mallet Pack includes all of the essentials a percussionist needs to perform well and develop good technique in a middle school or high school band or orchestra setting. Inside this pack you'll get sticks and mallets that create appropriate sounds on concert snare drum, timpani, xylophone, bells, marimba, and vibraphone. A Stick Bag to hold everything!